I have decided to change the title of this feature to NTCF. “From Austin to Providence” was too close to Brandon Austin and the Providence College Friars in my mind. I hope y’all can deal with the change. If you have any suggestions for a better title please don’t hesitate to comment! A reminder: My brother’s (Steve) comments will be in regular font. My responses will be in italics. Here is what was on the minds of the Patterson boys this week! 1. Miami Heat – Recently read how the Heat would be the first team to go make 4 consecutive finals appearances since the 1987 Celtics. You have often asked about Bird and the 80’s Celts. No better way than history repeating itself in a rarity. So Jordan, Hakeem, Duncan, O’Neal, Bryant, Stockton/Malone, Isaiah etc. and even Magic, never did it. Possibly, it gives you an idea of how good the Celts were in the 80s. 1) I know I always argue Pierce belongs in the all time great Celtic conversation. The truth is, I was too young to really remember those 80’s teams. That is pretty incredible the Celtics were able to get to 4 Finals in a row without free agency really being a factor. I also believe Jordan’s Bulls would have easily made 4 and probably won 4 in a row if he wasn’t suspen- ahem, if he didn’t leave to play baseball. Keep in mind The New Big Three Era with the Celtics. If they avoided injuries to KG, Perk, and Avery Bradley it is very likely they could have achieved the same feat. 2. Pacers – Like their chances if Granger contributes off the bench. 4. Portland Trailblazers – Head Coach Terry Stotts deserves some serious accolades. Look at their roster and tell me they would be 26-8? Hopefully, they stay healthy and make a trade deadline deal to help with some wing scoring. 2/4) The Pacers and Blazers are particularly interesting because they both built their teams through the draft. They are the anti-Heat, anti-Nets. They also do not have a superstar on their team that David Stern smashes you over the head with in his marketing ventures. I will make the argument Damian Lillard is the best point guard in the NBA. Also Paul George and Lance Stephenson have been great in Indy this year. It wouldn’t be the sexiest NBA Final, but I would definitely watch it from a pure basketball standpoint. 3. Tanking – This is a really big issue for the NBA. You could make the argument that 13 of the 15 teams in the East would prefer NOT to be in the playoffs or Finals. Enough said. 3) There has to be a remedy to stop the tanking issue. Even if teams aren’t tanking, the perception is there. Maybe the 9th seed from each conference should get the most ping pong balls in the lottery. Do it that way, and keep the league more competitive. 5. Kobe and KG – Interesting how the media plays out the end for players, meaning as if it is unexpected. Both players always played hard and now the years and mileage catch up. Then, you look at Duncan at 17 pts and 9 rebs and you wonder why Coach Pop gets criticized for resting players. 5) You have dealt with this more than I have but man is it difficult watching the guys you grew up watching get old. It’s like the media expects KG to be a 20-12 guy every night. Remember how much of a beast he was in Minnesota in his prime? His last years as a Celtic he started to taper off but was still very serviceable. Sad that he is getting criticized. He does not deserve it. 1. Pats – Getting home field was big, I think they can get it done against the Colts. Talib neutralizes TY Hilton, the defense bends, not breaks. Brady dials up some vintage clutch 3rd down play and…..Blount, Ridley, Vereen do the rest. 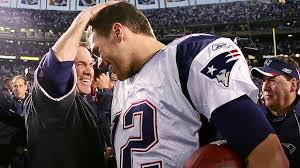 1) Everyone around here seems to think the Pats will coast by the Colts. Have Patriot fans not learned their lesson the past few seasons? Remember when they were suppose to spank the Jets a few years back? Then they lost. Granted the Colts only true weapon on offense for Luck to utilize is TY Hilton. I actually expect Kyle Arrington to play him since Hilton plays primarily out of the slot. Losing Brandon Spikes bothers me because he brings an attitude to the defense. Not many guys like going over the middle when he is playing. The injuries this team has suffered over the course of the year is bordering on ridiculous. 3rd down has been a mammoth issue up here. Brady doesn’t have that dependable guy to go to on 3rd. For some reason this game scares me. Once again the Patriots will only go as far as Brady and The Hoody can take them. 2) I agree with you 100%. I believe people like to bash because it is fun to bash. The bottom line is Andy Dalton has brought the Bengals into respectability. Peyton Manning lost his first 8 playoff games all the while resurrecting the Colts franchise. No, Dalton is not Manning but at the same time he shouldn’t be facing the level of heat he currently is facing. 3. Westlake HS – Drew Brees and Nick Foles both went to Westlake. Just so you know, that is only about 10 miles from our house. 4) Interesting way of looking at the quarterback argument. I love/hate Kaepernick. Love his talent. Hate that he screwed my fantasy football team this year. I think he is better than Matthew Stafford. Stafford is so insanely overrated it’s beyond anything that could be considered a rational thought. Give me Calvin Johnson and Reggie Bush, hell just give me Calvin Johnson and I can throw for 350 yards, too! 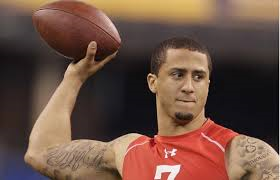 I also absolutely 100% believe Kaepernick takes the Bears to the Super Bowl and wins it no matter who the opponent is. Also the 49ers would be worse with Carson Palmer as their quarterback. He is terrible. Same can be said for Jay Cutler. 5. Versatile HBs – Woodhead, Sproles, Charles, McCoy really like those guys. If Manning did not have such a monster year, I really think J. Charles is the MVP. He is Priest Holmes and M. Faulk 2.0. 5) Jamal Charles should be the MVP. He did more with less talent around him. Peyton Manning had a video game like roster on his hands. If he did anything less than what he did this season, he’d be considered a failure. Heck, I’d even say he underachieved this season. Records mean nothing to me anymore because the rules now protect the offensive side of the ball. If he had these numbers 5-10 years ago, maybe I’d be impressed. 6. Coaching Fires – Brutal profession, but I guess most of the guys who were let go, there is reason. Only guy who did not get a fair shake was Chudzinski in Cleveland. Seriously, one year and all the injuries at QB (not to mention the QB choices were Weeden, Campbell and Hoyer). He did not draft those guys and he did not pick or trade Richardson. 6) Completely agree Chudzinski got the short end of the stick. Then you have a guy like Jim Schwartz who should have been fired 3 years ago. The Schwartz was not with him. 1) The story with the Red sox right now is whether they will bring back Stephen Drew or not. I hope he signs elsewhere. If he stays, he stunts the development of Will Middlebrooks and Xander Boegarts. In a full season, Middlebrooks will hit 30 home runs and drive in 100. 3. Pujols – Saw the other day, he is only 33 years old. Playing like he is 43. Wait, I am 43. Ok, 53 then. 4. Hank Aaron – Look up his numbers some day (then Gehrig and Ruth). Man! Basically, Pujols would have to average 30 homers for the next 7 years to reach 720 career home runs, 35 short of Aaron. Of course, Aaron needed 700 more games than Ruth to hit 755. Bonds needed 483 more games to hit 762 than Ruth’s 714. Yeah-yeah, not to mention PED assisted. 3-4) Hank Aaron’s power numbers are absurd. I say Pujols has an outside chance at some of them because he will likely DH the rest of his career. 5. 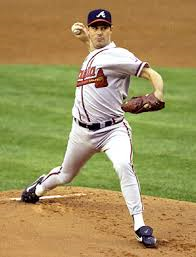 Greg Maddux – Gotta be unanimous – right? 5) Maddux should be unanimous but there is always that one dink writer that wants to make a story and not vote in an obvious selection. The BBWA is a bigger joke than anything Richard Pryor, Robin Williams, or Ron White ever delivered.